Treatment with Aloha comes first. We treat the person, not simply the ailment. 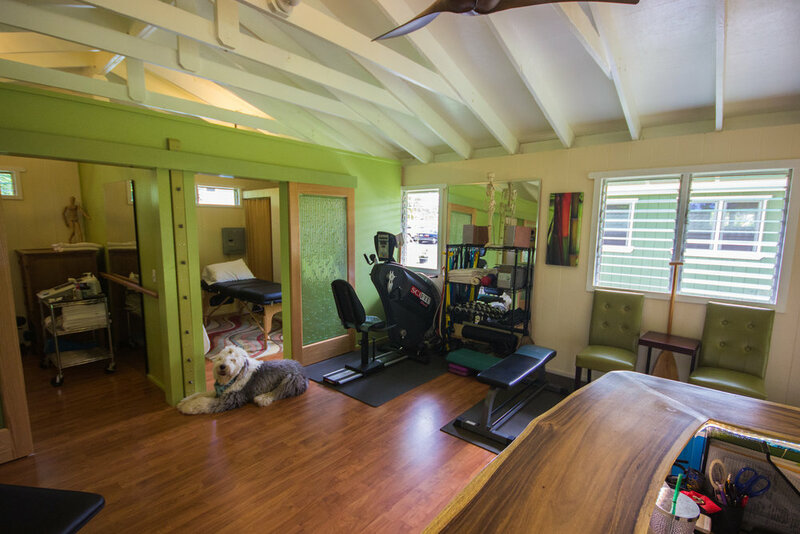 Aloha Sports Medicine and Physical Therapy is an evidence-based practice in Kilauea and Wailua, on the island of Kaua'i in Hawai'i. It was founded by its owner, Cheryl Claypoole, PT, in 2000. We have had the pleasure of treating hundreds of residents and visitors alike in the healing of intricate surgeries, complex injuries, & sprains and strains. 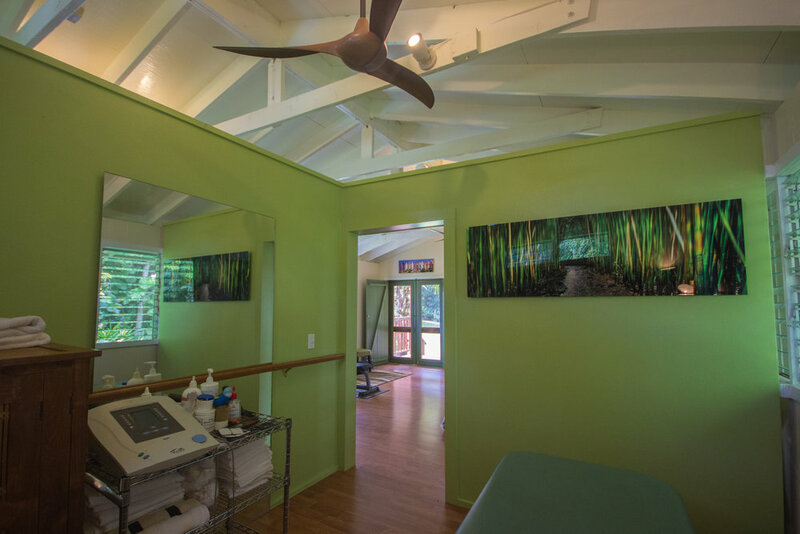 Our primary population of patients are typically "orthopedically-challenged," yet we do see neurologic, pediatric, and geriatric patients as they reflect the community of our island. We specialize in tailor-made exercise programs that maximize your workout in the clinic as well as translate to your home and lifestyle. In her 35 year practice, Cheryl has worked at the Olympic Games (Atlanta, Track & Field), Goodwill Games (Seattle, Men's Volleyball & Wrestling), Rugby World Cup (Australia/New Zealand, USA Men's). She has worked with the Seattle Mariners, Eddie Aikau competitors, IronMan athletes, Everest climbers, US Women's Ski team, Pacific Northwest Ballet, and too many rock climbing competitions, triathalons and rodeos to mention! Others may say that they offer world class treatment, but we have the experience to actually do it. As this photo suggests, she most enjoys spending time with her two daughters. Physical referrals are required for insurance reimbursement. Please provide insurance cards at your first appointment. Co-payments are due at time of service. Appropriate attire is recommended in order to effectively treat your injury. 24-hour notification is required for cancellations. A positive Aloha spirit is encouraged and welcomed!